Many tow truck drivers can go their whole careers without experiencing an accident of any kind, while another can get into trouble on their very first try. No matter how experienced you are in towing, whether you are a professional or someone who simply owns a truck and trailer, accidents can happen at any time, even if it’s not your fault. By learning what causes the most towing accidents, you can better prepare yourself for avoiding such instances. Continue reading to learn about some common reasons behind towing accidents to prevent them in the future. 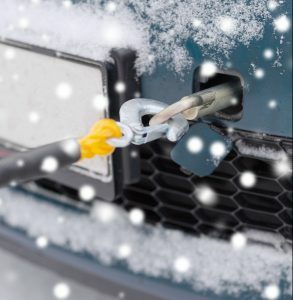 One of the most frequent causes of towing accidents and mishaps has to do with pins, clips, safety chains, and other towing accessories. When a tower fails to double check their towing setup before and after every tow, they put themselves at risk of missing something that needs to be replaced or re-positioned. It is easy to lose hitch pins and clips when you remove ball mounts for storage, and not even realize it. As a quick remedy, it is common for people to replace lost hitch pins and clips with improper or ill-fitting bolts. This is dangerous because the random bolts are not adequate for securing ball mounts, and can cause the trailer can pull the ball mount away from the receiver while on the road, ripping the trailer from the frame of your truck. Even with safety chains in tack, this still poses a threat to you, other drivers, and even property. Poor trailer lighting is another cause of towing accidents. Most often, other drivers smash into the back of a poorly lit trailer because they cannot see it in time. At high speeds, it is too late to stop in time once they realize a trailer is there. And if the driver can prove that your trailer’s lighting was inadequate, your insurance may not cover the damages, leaving you with out-of-pocket expenses. For this reason, it is important to invest in good-quality trailer lighting. And be sure to always check that your lighting setup is functional and bright. This includes brake lights, parking lights, reverse lights, and more. Just like factory scheduled car maintenance, towing trailers also require routine care. Without it, your vehicles are prone to causing accidents. Neglectful trailer maintenance is a frequent cause of towing accidents. There are several tasks that should be carried out on a regular basis to support safer hauling and driving. This include greasing the coupler, maintaining proper tire pressure, tire care, rust removal, and more. 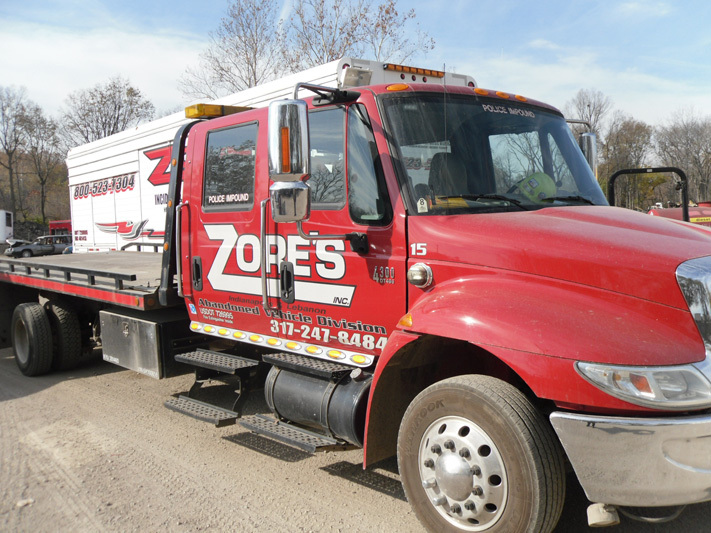 Call Zore’s Towing at 317-247-8484 for prompt and professional towing services in Indianapolis and throughout Central Indiana. As a family owned and operated towing company since 1972, you can trust that we are skilled experts with the experience and dedication it takes to provide great towing and recovery services. No matter how large or small your tow needs are, we are fully equipped with an extensive fleet of wrecker trucks. 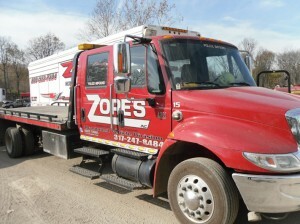 We offer quick clearance for traffic accidents, disaster response, roadside assistance, general towing, and much more! Call 317-247-8484 to learn more about our 24 hour towing and recovery service in Indianapolis, IN today. This entry was posted in Towing and tagged 24 hour towing Indianapolis, Indianapolis Towing company, tow truck Indianapolis, towing and recovery, towing services Indianapolis, Trailer Lights, Trailer Maintenance, trailer towing. Bookmark the permalink.